It’s hard to imagine a world without cloud. Here we are in 2016 and nearly every consumer has heard of, come into contact with or purchased cloud services in one form or another. Many of us are now dependent on cloud benefits as many of the most common life experiences such as listening to music, watching television and learning in a classroom have all been improved by the ability to access, manage and purchase IT resources online. As recently as 2010, IT analysts, vendors and customers were still asking if cloud was “here to stay or is it one of these hyped subjects that inevitably will be forgotten in a couple of years’ time?” Sure enough, no more than a year later in 2011 (according to Gartner’s 2011 Hype Cycle for Cloud Computing), cloud had taken the first step in answering this question by moving beyond the “Peak of Inflated Expectations” and straight into the “Trough of Disillusionment”. At the time, critics cited “cloud washing” as evidence that cloud could never live up to our expectations. Cloud was everywhere. Eventually, this “cloud washing” helped accelerate its complete dislocation from reality. Fast forward to 2016 and we are confident that cloud is here to stay. In fact, not only has cloud met our “inflated expectations” of 2011, but also it has arguably surpassed what we imagined to be possible. Turns out that we weren’t wrong about the potential of cloud, we were just early. One of the more surprising realities of cloud in 2016 has been the rate of business adoption of public cloud services for mission critical applications. Just a few years ago, many of us were convinced that public cloud was great – but was most appropriate for archive, backup and other business “non-critical” data. Non-critical was seen as the “appetizer” of data; the “main course” (mission critical data) would ALWAYS remain on-premises. 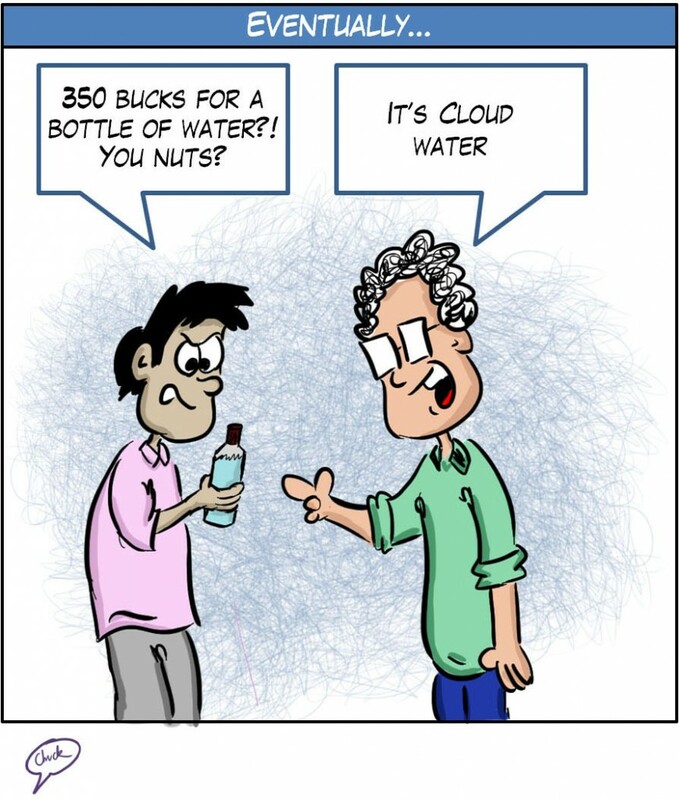 Looking back five years, we certainly did a great job of hyping cloud beyond all reasonable expectations. But as the cloud momentum continues to press onward, enterprises are developing a plan for the future of their IT landscape with cloud providers in mind. Businesses are requiring their cloud provider to have industry leading performance, efficiency and flexibility across a plethora of integrated cloud platforms, software and managed services. Additionally, as cloud technologies become more intricate and pervasive, companies will rely on the cloud provider’s ability to meet their most demanding enterprise requirements for complex, mission critical applications and data requiring enterprise-class object storage. And lastly, in the future, enterprises will need a cloud provider who can quickly and efficiently build hyper scale cloud environments that provide customers with significant economies of scale, resource flexibility and enterprise control. Few cloud providers today can deliver on all of the above. The exception is Virtustream, a Dell Technologies business, which has taken this exact approach since day one. With Fortune 500 companies, such as; Domino Sugar and Coca Cola already trusting Virtustream with their cloud environment, you can be assured that Virtustream not only understands the past of the cloud, but will also help progress your enterprise into the future.